Good hostel for a short stay. 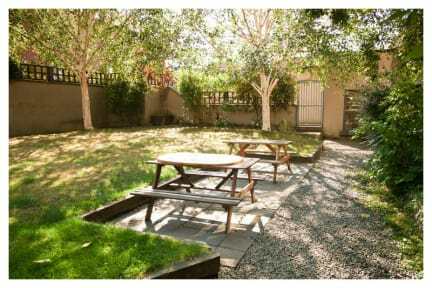 It is very affordable for Dublin and it's right in the city centre. It looks very unassuming at first but it is actually huge. Very big hostel, nice staff, good breakfast, plenty of backpackers from all parts of the world. Bathrooms could be cleaner, but rest is good. 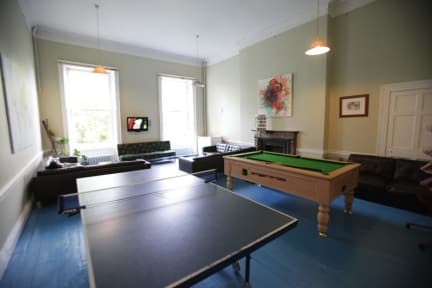 The location of the hostel is perfect, a few steps from the main street of Dublin. The staff was friendly and I got a free upgrade to a smaller room, which was very nice. The common room was good for working and the wifi was fast. Free breakfast was a nice extra bonus. On the downside the building or the rooms are not particularly cozy, more like practical. Still, great value for money! The hostel was worth the money spent. The staff could have been slightly more friendly. The complimentary breakfast was horrible; just toast and cheese. The bathrooms were clean but there could have been a greater amount of toilets and showers for the amount of people living on each floor. A fine place to stay for a short visit. The location was decent. It’s away from the loudness of the city which I liked. Everyone I met there was very friendly and at the reception they were very knowledgeable and willing to help answer my questions. I really enjoyed my stay here, however I would not come back simply because of the showers. You have to press a button for the water every 19 seconds (I counted) it was honestly infuriating. The sinks in the bathroom turned off after a couple of seconds as well. The best thing about this place is the location- quiet street, 20 min walk to the center. But the facilities are pretty basic and need major revamping. Bathrooms were not very clean and the showers were really annoying- have to press a button every 10 secs and no temp control. Pillow really uncomfortable and lockers in room were janky. Also LOTS of stairs. Overall ok if you’re on a budget and only staying a night or two. Has great potential if they do some refurbishing.